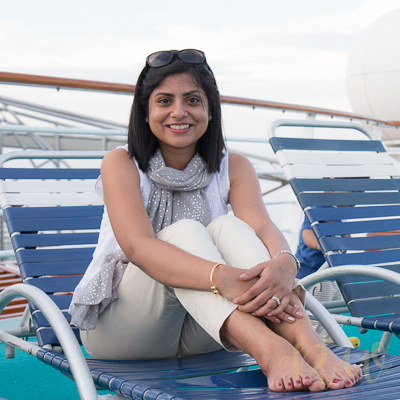 If you are like me and end up ordering at least one dish of either Paneer Butter Masala or Butter Chicken every time at an Indian restaurant, you will love this post – since I am going to save you a trip to the restaurant and maybe a few dollars too! Sopping up the flavourful creamy-tomato sauce with garlic butter naans (surely not counting the calories!) while having a chat with friends and family about absolutely random things are one of life’s happy moments for me! I make this dish pretty often, so it is surprising to me why I didn’t write about it already. The great things about this all-time favourite is that it doesn’t need a full repertoire of spices and doesn’t take much time. By now, you all must have figured that I am all about easy-peasy but finger-lickingicious dishes; and this one is not an exception! 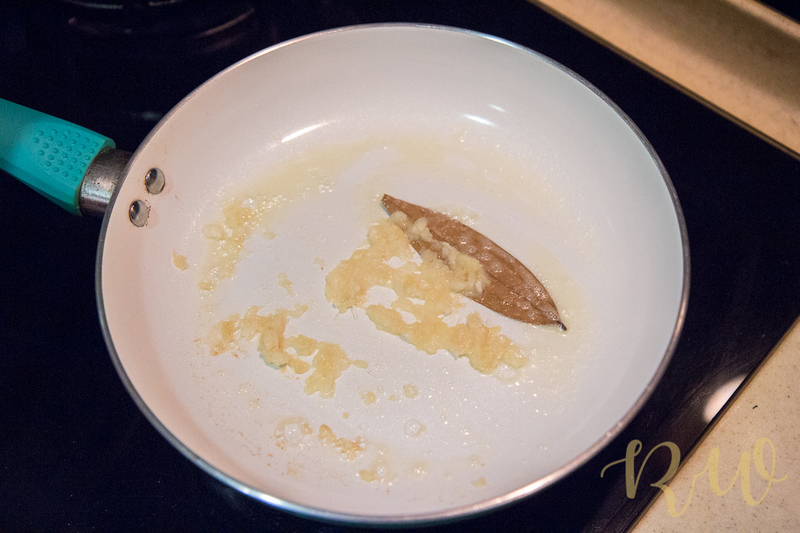 In a wok, heat the butter, and add in the bay leaf till it becomes fragrant.Then add in the ginger-garlic paste. 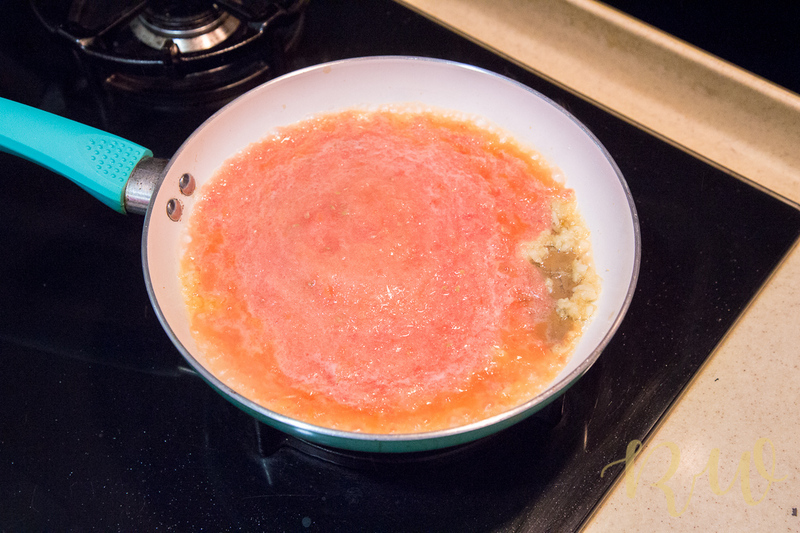 After a minute or so, put in the tomato puree. 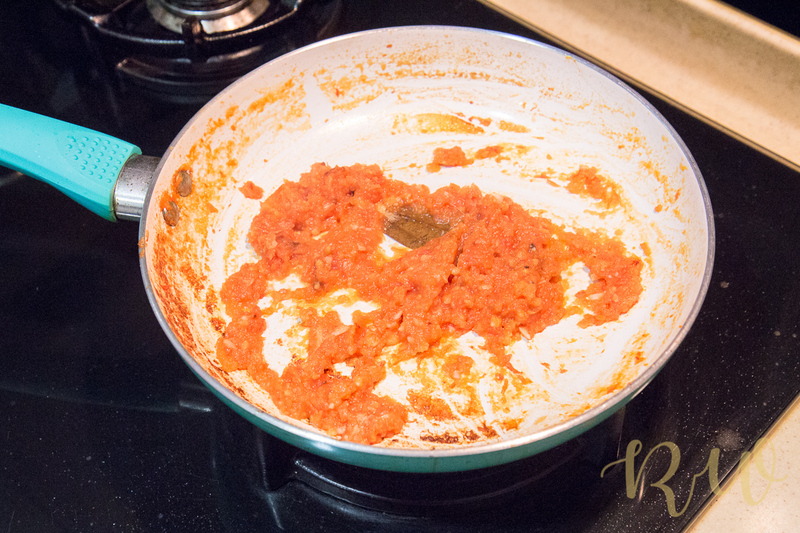 Cook it for a good 5 minutes or till the raw smell of the tomatoes and ginger-garlic disappear. Now add the red chilli powder, and saute till the oil and masala separates (for newbies to cooking I suggest you check out what this means by googling – I still remember my husband’s bewilderment when he heard it for the first time!). Now comes the main ingredient, which makes the dish creamy and smooth – the cashew paste. Cook till the oil comes out. 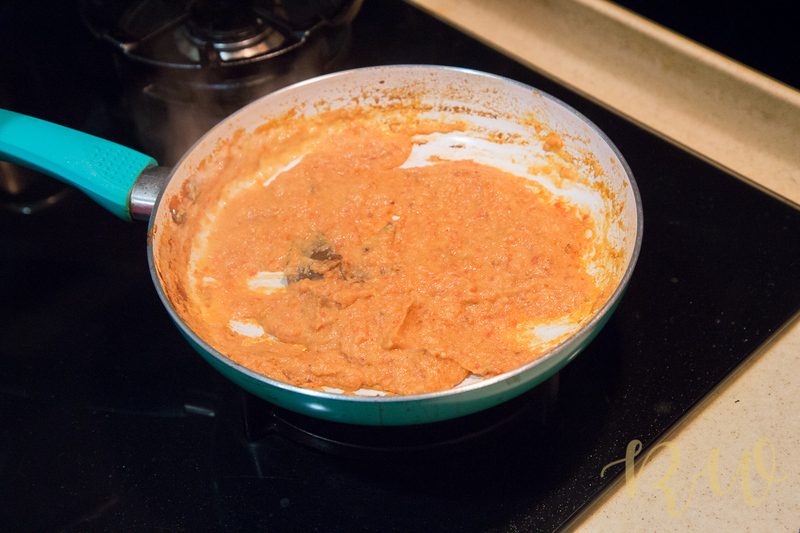 Almost done now – add in the water and let it simmer on a low flame for sometime (roughly 3-4 minutes). Once the curry starts thickening, add in the juliennes of ginger and chilli (reserve some for garnishing) and also salt and sugar. Once its all thick and rich and the kitchen is smelling of this delectable curry, gently add in the paneer cubes and the garam masala. Cover with a lid and let it cook for sometime (2-3 minutes approx). 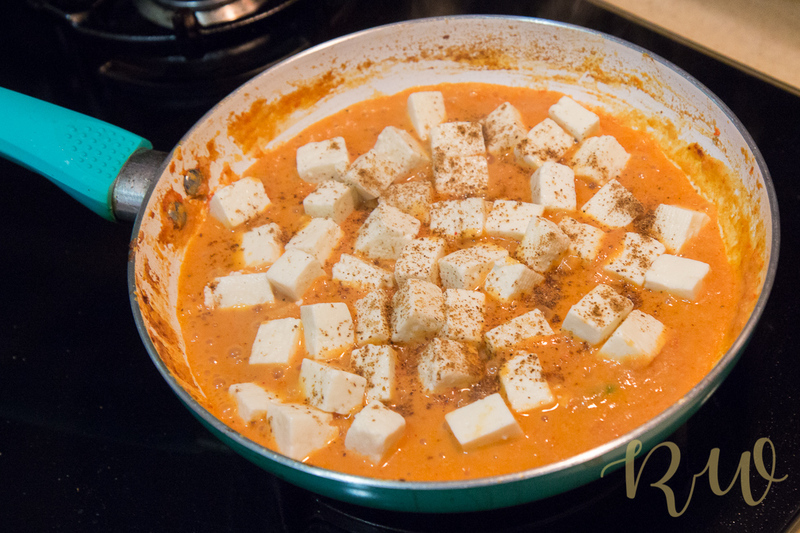 Just be sure not to over-cook the paneer. 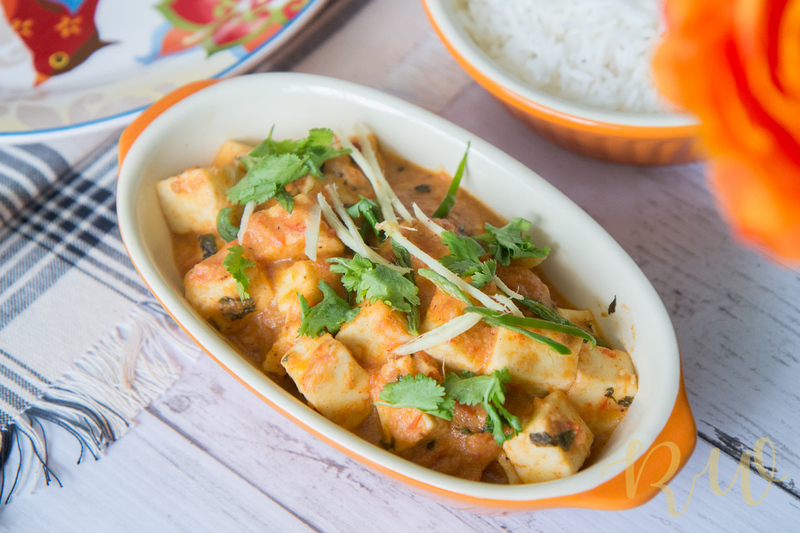 The paneer cubes must be soft and firm. All done! 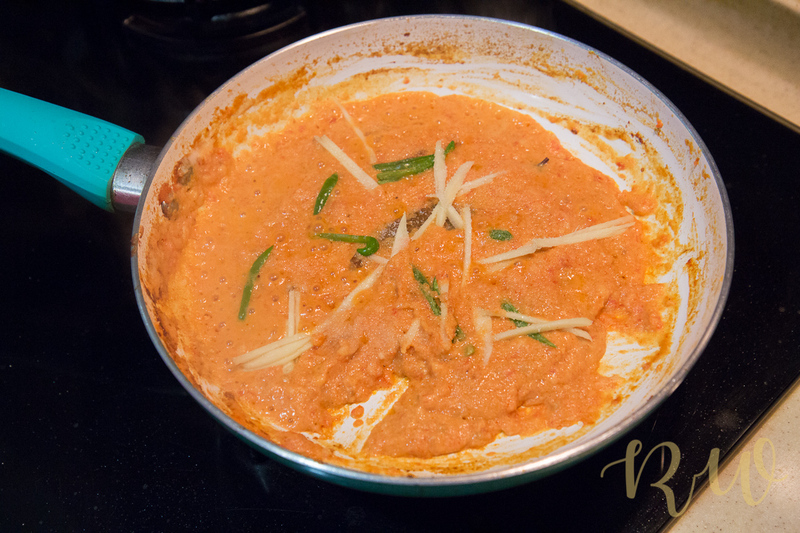 Rub the kasoori methi in your palm and sprinkle over the sauce. Garnish with coriander and the ginger and chilli juliennes. 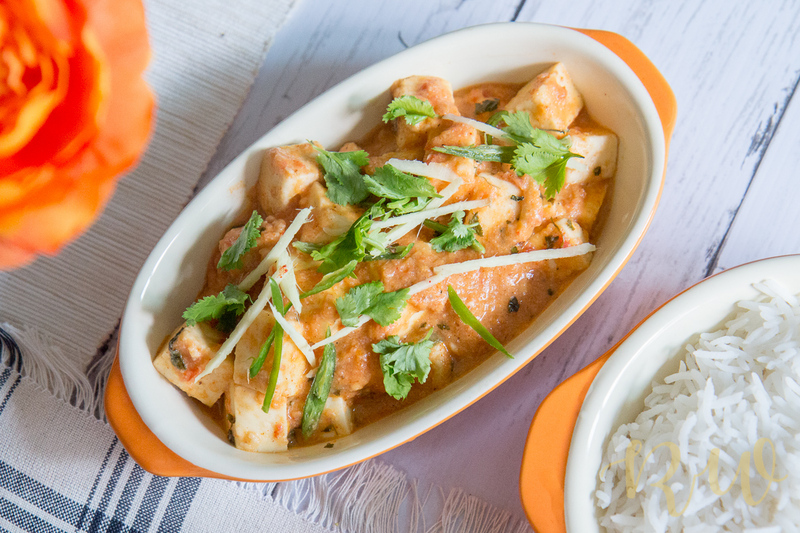 You now have a bowl of delicious restaurant style Paneer Butter Masala, which can be devoured with fine Basmati rice, Rotis or Naans. 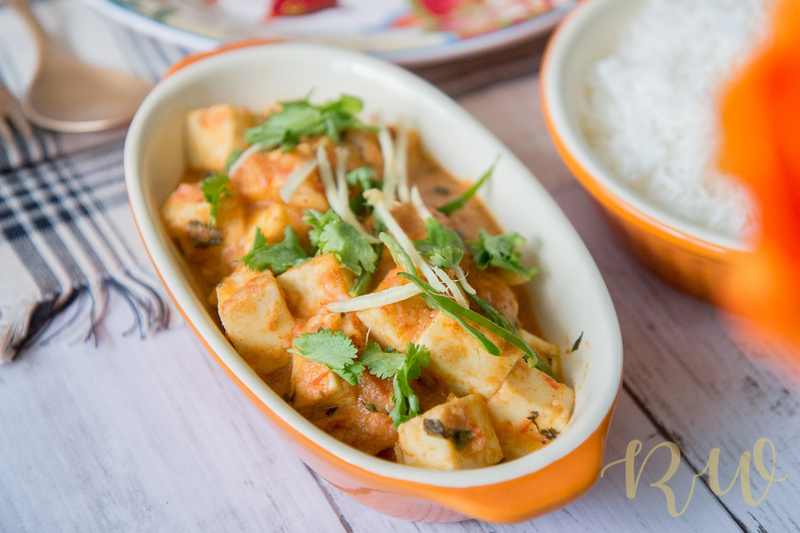 Boneless chicken pieces can easily be used instead of the paneer cubes, I prefer to sear the chicken pieces instead of grilling them, since it saves a lot of time and also the bits stuck to the pan add an amazing smokiness to the curry! 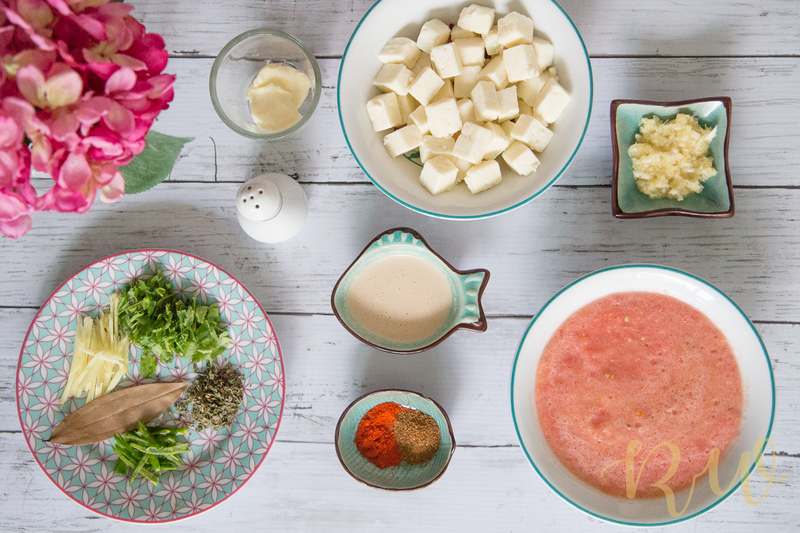 Hope you’ll like making this recipe – let me know how it went in the comments below. Previous Post Dresses I am loving at the moment! Awesome kola.. its so easy to cook..thanks for the recipe..will surely try it. Tried the recipe with chicken…and its yummm!!! Waiting for dinner time! Awww! Thank you sweetie ! Haha! Will wait for that day, how about when I come to Kolkata? Thanks sweetie! Much appreciated your comment!